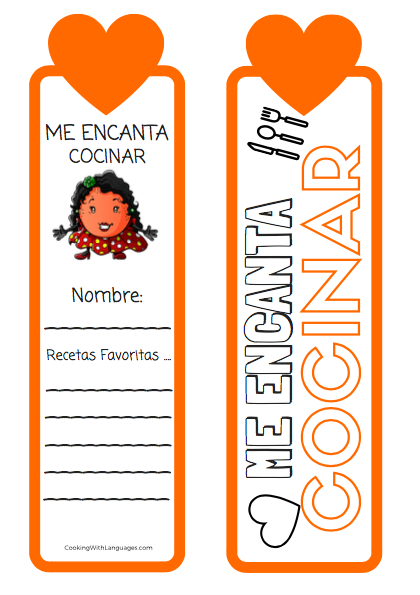 Our free printable bookmark set lets you take Arthur Apple and Narea Naranja with you when you leave the kitchen – they’ll help keep your place in your favourite stories, and reinforce the learning with regular exposure. 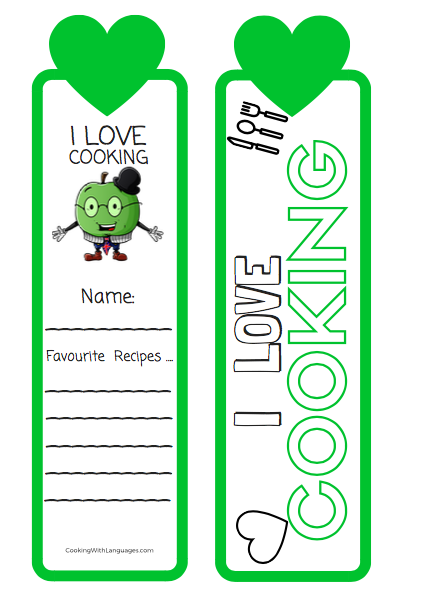 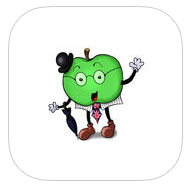 Download them today and colour them in with your favourite shades from the food rainbow, and list your favourite recipes from our Activity Cookbook on the back. 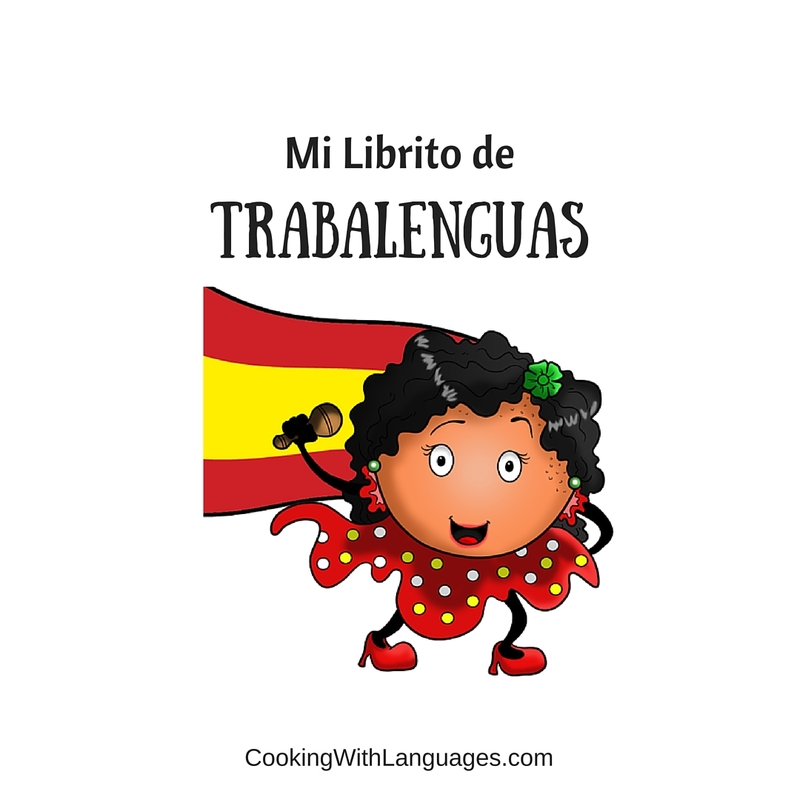 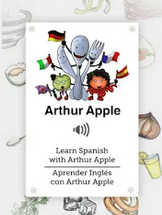 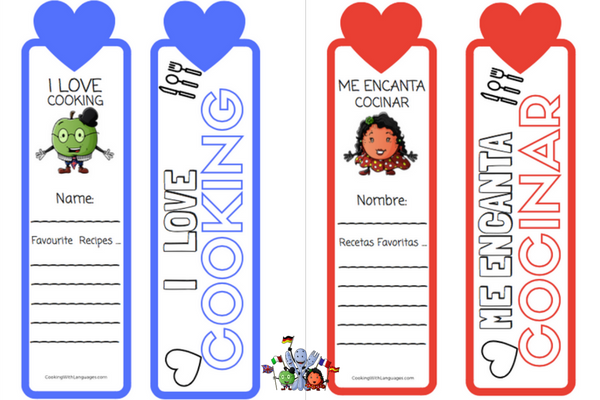 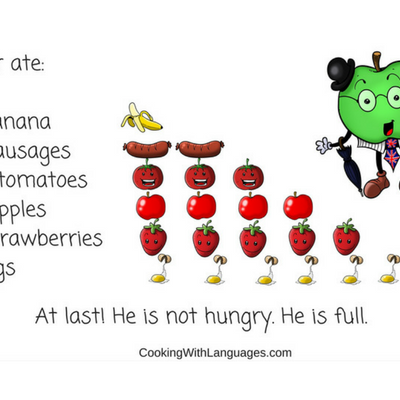 This free activity will offer your young learners a new and fun way to be reminded of their bilingual kitchen adventures.